"Thrust SSC (SuperSonic Car) is a British jet-propelled car developed by Richard Noble, Glynne Bowsher, Ron Ayers and Jeremy Bliss. ThrustSSC holds the World Land Speed Record, set on October 15, 1997, when it achieved a speed of 1,228 km/h (763 mph) and became the first car to officially break the sound barrier. The car was driven by Royal Air Force fighter pilot Squadron Leader Andy Green in the Black Rock Desert in Nevada, United States. It was powered by two afterburning Rolls-Royce Spey turbofan engines, as used in British F-4 Phantom II jet fighters. It is 16.5 m (54 ft) long, 3.7 m (12 ft) wide and weighs 10.5 tons (10.7 t). The twin engines developed a thrust of 223 kN (50,000 lbf), a power output of 110,000 bhp (82MW) and burned around 18 litres per second (4 Imperial gallons/s or 4.8 US gallons/s). Transformed into the usual terms for car mileages based on its maximum speed, the fuel consumption was about 5,500 l/100 km or 0.04 mpg U.S. The record run in October 1997 was preceded by extensive test runs of the vehicle in Autumn 1996 and Spring 1997 in the Al-Jafr desert (located in Ma'an Governorate) in Jordan, a location unknown before for its capabilities as a test range for high speed land vehicles, with numerous advantages compared to the salt deserts of the Western United States." There are currently no setups for Thrust SSC. Add a Setup. There are currently no car skins available for Thrust SSC. If you are a painter you can share skins for this mod via the Car Skins area. Visit the Spray Booth for painting tips & tricks. Kept crashing my game and then then when I deleted it, it meant that whenever I went flat out at any track with any car it kept automatically braking even when I uninstalled and reinstalled rFactor it still kept automatically braking until I made a new profile. On the rare occasion it actually worked it the engine kept exploding. P.S. I never had any assists. 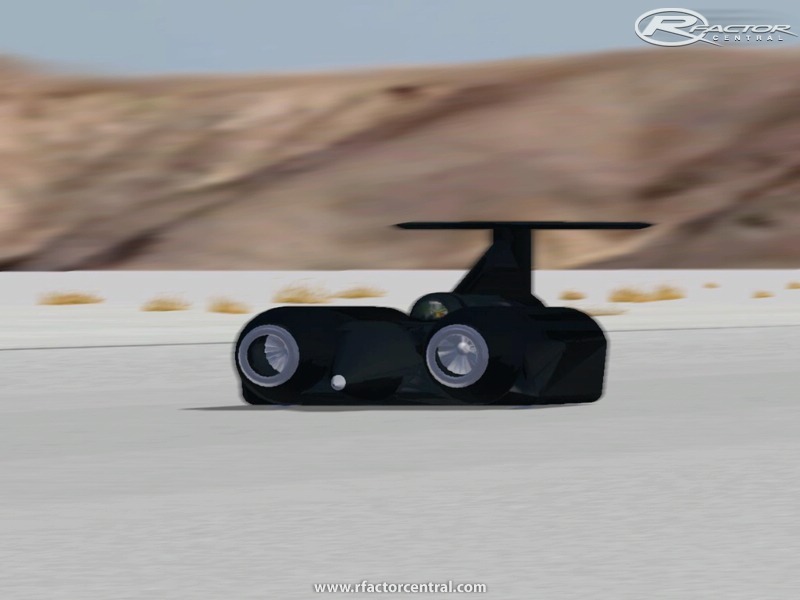 Thrust SSC - rFactor - 1000 km/h!! !